Board of Directors – SBI Pension Funds (P) Ltd.
Shri M.P. Mehrotra is a Bachelor of Commerce, L.L.B, and a Fellow Chartered Accountant practicing for the last 45 years and the founder partner of Mehrotra & Mehrotra, Chartered Accountants, Kanpur & Delhi. Shri Mehrotra has wide experience as Central Statutory Auditors and Tax Consultants and expertise in Income Tax and Corporate Laws. 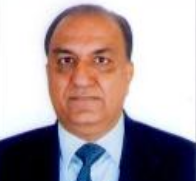 Shri Mehrotra has been associated with Bank of Baroda, LIC of India, Syndicate Bank, Punjab National Bank, Bank of India, Food Corporation of India and other Public Sector Undertakings as Statutory Auditors and handled various assignments of Techno Economic Studies, Corporate consultancy, Income-tax matters, Mergers and Acquisitions, Finance & Administration and also Debt Restructuring in Corporate Sector. He is a member of Task Force for MOUs, Ministry of Heavy Industries & Public Enterprises, Govt. of India, Dept. of Public Enterprises, for the last 7 years. Dr (Ms). Gitika Kapoor, a Doctor of Philosophy (Ph. D.) in Management, is currently working as Professor at R. A. Podar Institute of Management and Dean, Faculty of Management Studies, University of Rajasthan, and has 32 years of rich experience in academic, Institution Building, Administration, Consultancy and Training. 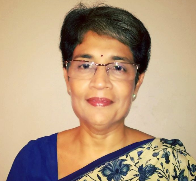 She is a member of Editorial Board of the Nice Journal of Management, Ethics Committee-SMS Medical College, Committee for the evaluation of proposals to set up private Universities, Expert member of Bureau of Public Enterprise, Government of Rajasthan. She has been conferred with “Career Award for Young Teachers (1999-2000)” by AICTE. 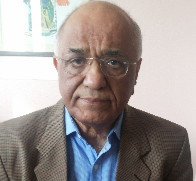 Shri V K Gupta joined SBI as Probationary officer in 1972 and retired as Dy. Managing Director in 2007. During his distinguished career spanning 35 years, he handled various assignments in the areas of Domestic, International and Investment Banking as also in Treasury Operations; notable being Dy. Managing Director & Chief Credit Officer of the Bank, Managing Director & CEO, SBI DFHI as well as SBI Factors, Chief General Manager[Mid-Corporate Group] and Regional Head, SBI Capital Markets Ltd, New Delhi. Amongst his overseas assignments were President & CEO,SBI(California) and Los Angeles Agency as also Chief Credit Officer, Bank Of Bhutan, Phuntsholing. Shri Gupta is a post-graduate in English Literature- Gold Medalist and First Class First- and was teaching in Delhi University before joining State Bank Of India. Mr. Saurabh Chandra, a Graduate in Electrical Engineering from the Indian Institute of Technology, Kanpur (First with Distinction), retired from the post of Secretary, Government of India, Ministry of Petroleum and Natural Gas. 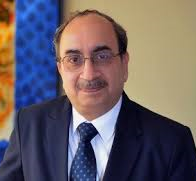 He is currently a Public Interest Director and Chairman of the Board of Directors of Multi Commodity Exchange of India Limited and an Independent Director on the Boards of IDBI Trusteeship Services (ITSL), Usha Breco Limited and Vacmet India Limited. Also on the Panel of Outside Experts in technical Category of ONGC, Panel of Conciliators in GAIL for settlement of disputes, Member of the Technical Advisory Board of Intech Organics Ltd. and Member of the Advisory Board of CL Infotech Pvt. Ltd. He is working for promotion of employed disabled persons as a Member of the Advisory Board of the National Centre for Promotion of Employment of Disabled People (NCPEDP). He has vast experience in formulation and implementation of policies in multiple areas and sectors – oil and gas, industry & manufacturing, foreign direct investment, intellectual property and disinvestment including strategic sales. 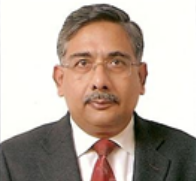 Shri Haridas K. V. , Deputy Managing Director ( Retail Business ), State Bank of India, joined the Bank as Probationary Officer, State Bank of Travancore ( eSBT ) in 1984. 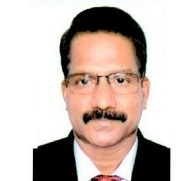 Shri Haridas K.V., Deputy Managing Director (Retail Business), State Bank of India, joined the Bank as Probationary Officer, State Bank of Travancore (eSBT) in 1984. Prior to this he served as Deputy Managing Director, eSBP. He has a Bachelor’s degree in Science, Diploma in Management and is also a Certified Associate of Indian Institute of Bankers (CAIIB). He had held various key assignments as Corporate Banking, Recovery & Rehabilitation, Treasury operations, SAMG, Risk Management, HR, Retail Business and Corporate Credit. Mr. Kumar Sharadindu took charge as MD & CEO of the Company on 30.12.2016. Previously, Mr. Kumar was General Manager at SBI Corporate Centre, Mumbai heading private equity business of the Bank. He joined SBI as Probationary Officer in 1984. He has held several crucial assignments in his banking career spanning more than 30 years. He has held key positions in the areas of credit, treasury, Risk and large corporate lending. He spent more than five years in treasury of the bank. He was also the head of Market Risk department of SBI. Before coming to Private Equity, he was head of the Mid Corporate Group in Chandigarh Region. By qualification, he has done Masters in Physics. 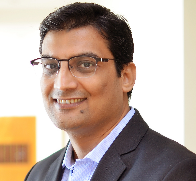 Shri Navneet Munot joined SBI Funds Management Private Limited as Chief Investment Officer in December 2008. 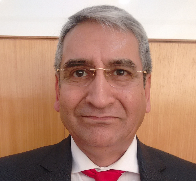 He has over 24 years of rich experience in Financial Markets. In his role, Navneet is responsible for overseeing investments worth over USD 30 billion across various asset classes in mutual fund and segregated accounts. In his previous assignment, he was the Executive Director & Head – multi – strategy boutique with Morgan Stanley Investment Management. Prior to joining Morgan Stanley Investment Management, he has worked as Chief Investment Officer – Fixed Income and Hybrid Funds at Birla Sun Life Mutual Fund and worked in various areas such as fixed income, equities and foreign exchange. Navneet is on the board of Indian Association of Investment Professional (India society of CFA charter holders with over 2000 members). Navneet is a member of CSR Committee of Indian Management Chamber (IMC) and a member of Capital Market committee of Institute of Chartered Accountant of India (ICAI). His articles on matters related to economy and financial markets have widely been published.